Constant change is the new black! To survive in today’s reality, adaptive leadership and relentless evolution are vital. Learn more about what I can offer your organisation . I am an experienced facilitator with the ability to help teams reach consensus on the way in which to deal with important issues. My approachable and friendly manner has made me a natural choice as a mentor. My passion for sharing my skills, knowledge and expertise has been enjoyed by many individuals that have had the benefit of my mentoring. I thrive when listening, questioning and constructively challenging the status quo. I have effectively coached teams and individuals who need to evolve in line with the evolution of the business. I am a seasoned trainer and have delivered countless training courses for organisations from foundation level learning to executive programs. Acclaimed internationally as an author and speaker, with industry acknowledgement of my reputation as a Thought Leader, I provide both strategic and practical advice and insights to my audiences. A Portfolio Approach to Organisational Change. 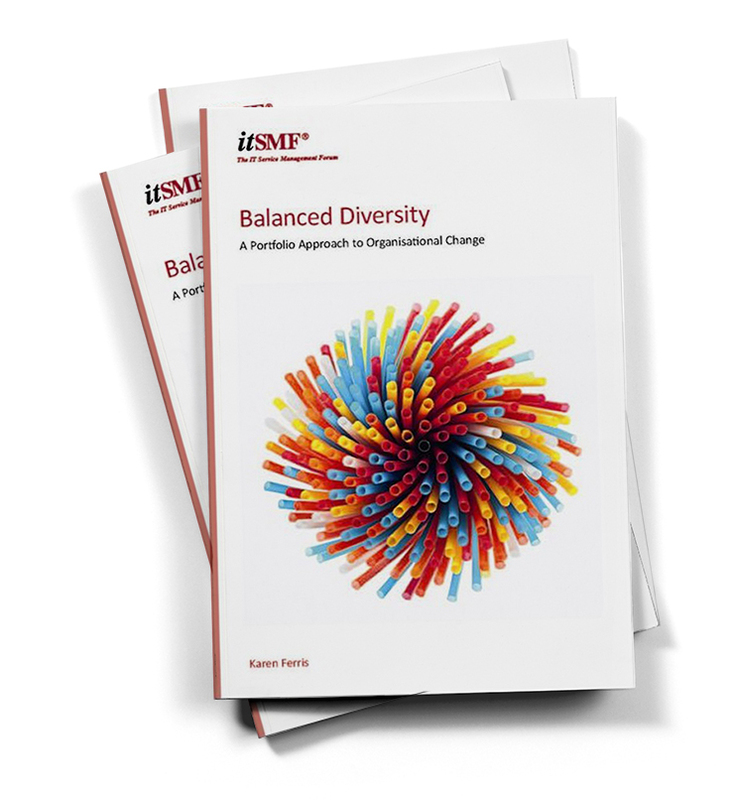 The objective of this publication is to present a framework that enables organisations to successfully embed change related to Service Management into the fabric of the organisation. The challenge faced by most leaders of change is not so much about making the change in the first place, but making it stick. Most change initiatives fail because there is insufficient focus on the activities and practices needed to embed the change. This framework is a reference guide, and provides every change leader with a wide range of practices that they can employ. Join Karen's mailing list to be notified when the second edition becomes available in 2018.